Whether you’re packing for a picnic or whipping up a side dish for your backyard barbecue, make sure to have one of these 13 pasta salads on the menu. A few of our favorite ingredients, all in one bowl. We’re splurging on this dish. 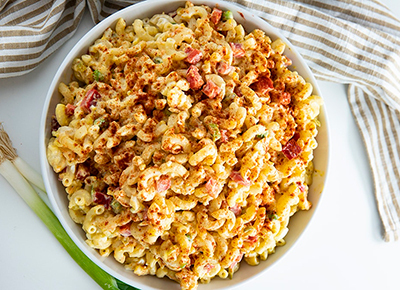 Classic macaroni salad gets an upgrade with fresh fruit. This still counts as salad, right? Give the penne a rest. Peanut noodles are a dish best served cold. The perfect combo of our two favorite things, pasta and avocado. Light, tangy and totally satisfying.